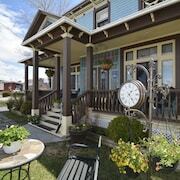 Situated in Matane, this motel is within 2 mi (3 km) of Matane Ferry Terminal, Matane Lighthouse, and Doris Gardens. Salmon Center is 2.7 mi (4.3 km) away. Is the 3rd time that i stay there and has been always outstanding, is a nice place for vacation and even for a business stay is excellent, is a bit more expensive than others in the area but is worth! Breakfast, confortable bed et room, the apt. is really clean....in fact everything. Where to find Matane hotels near an airport? Where can I find hotels in Matane that are near tourist attractions? Arranging some time in Gaspe Peninsula and would like to stay in Matane? You'll find 8 Expedia-listed accommodation options within a 0.1-kilometre (0.06-mile) radius of the downtown area. 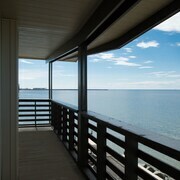 The Riotel Matane and Pavillon sur Mer par Riôtel are among the most central hotels in Matane. 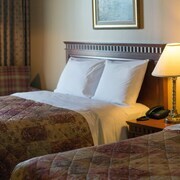 You could try the Quality Inn & Suites Matane or the Hôtel-Motel La Vigie. 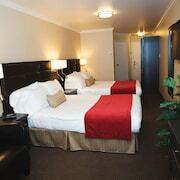 The Quality Inn & Suites Matane is positioned 3 kilometres (2 miles) from downtown Matane. 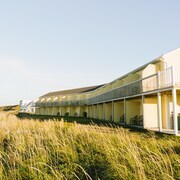 The Hôtel-Motel La Vigie, is 3 kilometres (2 miles) away. 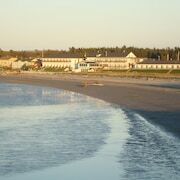 Some other places to stay include the Motel La Marina and the Auberge la Seigneurie. The Exploramer is a commonly visited tourist destination in this region. Stay the night in Sainte-Anne-des-Mont, which is 80 kilometres (51 miles) to the northeast of the heart of Matane. Choose from the Auberge du Vieux Faubourg and Auberge La Seigneurie des Monts. Mont Joli Airport is a nearby airport, and is located 55 kilometres (35 miles) away from Matane. 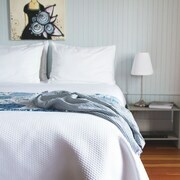 Conveniently located Expedia-listed hotels are Motel Sainte-Flavie and Le Gaspésiana. What are the most popular Matane hotels? 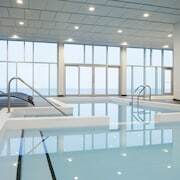 Are there hotels in other cities near Matane? What other types of accommodations are available in Matane? Explore Matane with Expedia.ca’s Travel Guides to find the best flights, cars, holiday packages and more!